Following a car accident, the at fault party will be declared liable for paying damages to the plaintiff. And while liability laws do vary between states, roughly half of them do have one thing in common: no fault auto insurance policies or no-fault liability laws. These laws declare that the insured, regardless of whether they are found liable for causing the accident, will still be compensated for their losses by their own insurance company. Though it should be noted that a selection of states has also set limits, and cases which exceed these limits will be exempt from these laws. Limits have been set for the severity of personal injury, and the extent of property damages. Thus, if a person is heavily injured or dealing with severe losses in regards to their property, their case will no longer fall under the no fault liability laws.States without such laws will always require the insured to cover damages for everybody involved in the accident. To sum it up: the no fault insurance policy ensures that the insured will be compensated for their losses via their own insurer, whether they are found to be liable for the accident or not. Roughly half the states offer this policy, though some may refer to it as personal injury protection instead. The no fault policy will offer compensation for physical injuries sustained by not just the insured themselves, but also their passengers, even if the insured would have been found to be fully or partially at fault for causing the accident under general liability laws. Because of this, the insured is basically fully exempt from traditional laws regarding this matter. However, as previously managed, this policy only applies to smaller accidents, which is why it generally exempts damage done to the vehicle. If compensation for car damage is found to be necessary, the insured will need to file a liability claim against the at fault party, or take advantage of their personal collision insurance. How No-Fault Insurance Policies Affect You? While there are still quite a few states fully without no fault insurance, the majority of the rest has already made it mandatory. It covers the costs of medical bills for not just yourself, but also your family, other passengers, and even affected pedestrians, during the aftermath of an accident. Though it should be noted that property damage will not be covered. The regulations of dealing with an insurance company change. Most of the injury lawyers in Barrie advice against recorded statements to the defendant’s insurance company but in these cases, you need to cooperate with the insurance adjuster. 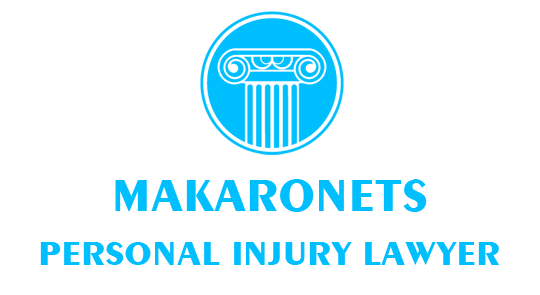 Thus, if you are injured in Ontario, contact a personal injury lawyer soon after the accident.